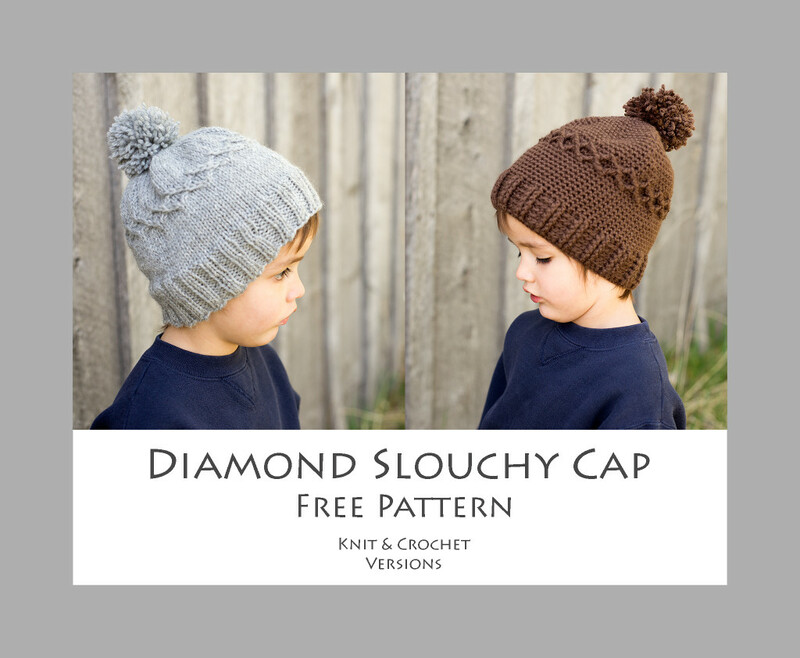 Slouchy Diamond Cap – Free Pattern! Thank you SO much for helping me spread the word about my upcoming Mystery Create-A-Long (there’s still time to sign up for this awesome community crafting event if you haven’t already. 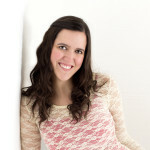 Check out the details here)! My success with this business has hinged greatly upon loyal, awesome, amazing customers like YOU! My whole family is hugely grateful. Each morning as I’m snuggling my kiddos and starting my day, I try to stop and remember how lucky I am and just how thankful I am to be here at home with them. Even though we didn’t reach my goal of 500 sign ups before Wednesday, all of the shares really did make a huge difference! We reached 450 on Tuesday evening, and that number is still creeping up. 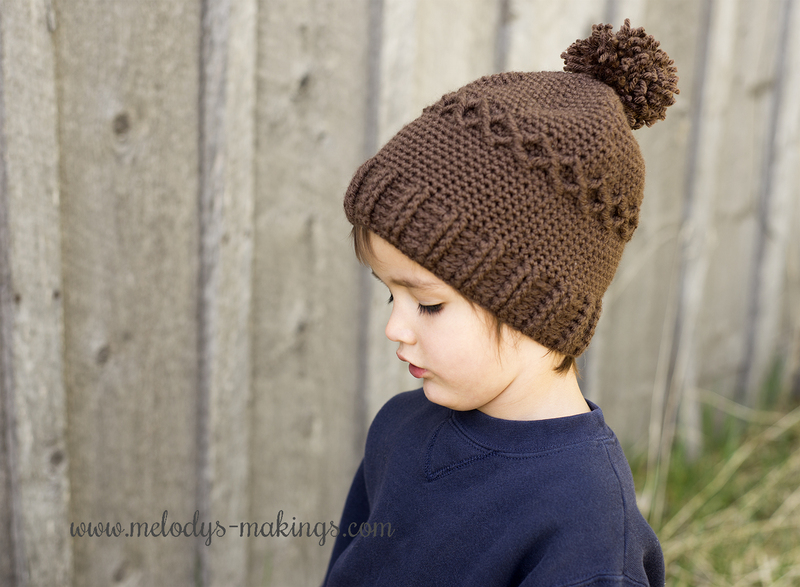 As a gesture of my appreciation, I’m posting my new Slouchy Diamond Cap Pattern here for free. The link to the pattern goes to ravelry and then loops back to this page. Nice hat, thanks so much. Thank you! Great looking hat! Super looking hats, really can’t decide which I love more, thank you for sharing! Thank you Melody for your generosity!! Can’t wait to make this!! I really appreciate the free pattern for all sizes! My grandson is 3 months, 9 pounds 8 ounces! I think this is the cutest hat for him and possibly for everyone! Thanks again! I will be passing the word of your site more! I know how hard it is to raise kids at home! I can hardly wait to see the creations of costumes you make for your 2 sweet kids! Thank you so much for this pattern, it will be perfect for my little buddy that lives next door! He asked me just last night if I could make him a hat! I think this will be on my needles tomorrow!! Love the hat. Thank you so much for sharing it with us!! Thanks for the pattern! Love it! Thank you, Melody!!! Your patterns are always beautiful! Thanks again for this beautiful hat ~ know what a lot of my gang will be getting for Christmas! Thank you so much for the pattern/s! This hat is so adorable & I can’t wait to make it up! Thank you for this lovely FREE pattern. I feel badly that you didn’t reach your goal…Hopefully, by now that goal has been reached…. I really don’t know where else to share, since the only real “social media” I use is Facebook. I just don’t have time for anything else…As it is, I only rarely visit FB….just takes so long! I also do Pinterest and believe I’ve shared it there as well. Is it okay to share this pattern on Pinterest? Thank you so much for the free pattern, much appreciated but not necessary. So adorable, thanks so much for the free pattern, I have to make this for all of my nephews and my niece. Thank you so much, for this easy and beautiful hat pattern. Love it !! I love the look of the hat and it doesn’t look like a girls as one of my grandsons said..
two great looking hats that I hope to have finished by Christmas or the first snow. Unfortunately, I can’t tab your “FREE PATTERNS, ETC.’, I cannot get the whole page on my computer. Help please. 450 is not Bad!! Keep up the Great work!! 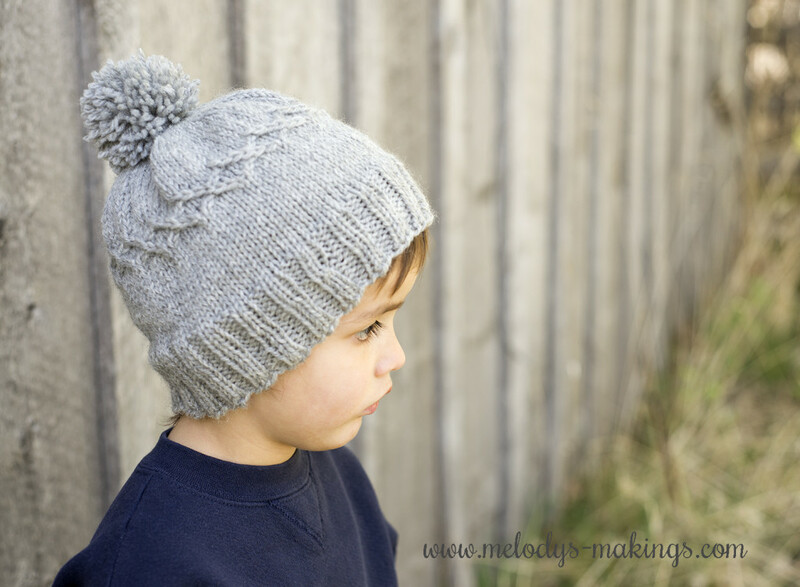 Thanks for sharing these adorable hats on the Knitting Love Link Party! Thanks for the link party! So fun to have a place to share knit links finally! Thanks! Lovely patterns my grandsons will love these hats. Hey Cris! Yes – due to the number of cast on sts needed to make the hat come out the right size, you’re going to end with K2. The 4 knits together are in the back of the hat, and not super visible. Sorry for the confusion! Thanks Melody for clearing this up….again, I love the pattern….and thank you for giving it to us for free….. I am making cap with diamonds. All goes well till I finish. Say I should have a stitch count of 72. But when I finish the last row of diamonds my stitch count is around 60 something. I have watched the video several times and did 5 redos. I am skipping one stitch and then only single crocheting 2 on the last round? Please help if you can. When you’re counting your stitches, are you counting the FPTRC2tog as a stitch? It should be counted. It sounds like you’re losing one stitch during each diamond repetition. Could you accidentally be skipping 2 sts during each diamond instead of one? Awesome. I can definitely do the knit but might need help with the crochet. Only made one hat so far. Thank you so much. Got my yarn picked out, Now to do the gauge. This is my first stitch-along. When do we start crocheting this? Can hardly wait. I’ve been on the look out for some cute caps to make for my donations to Knots of Love. I need new inspiration! Thank you, Melody! Thank you, the pattern looks very nice. My children love for me to make them hats. I want to make this for my aunt. Is there any reason I can’t use a short circular needle instead of DPNs? You’ll have to switch to DPNs at the top when the stitch count decreases a lot, but otherwise you should have no problem using a small circular.